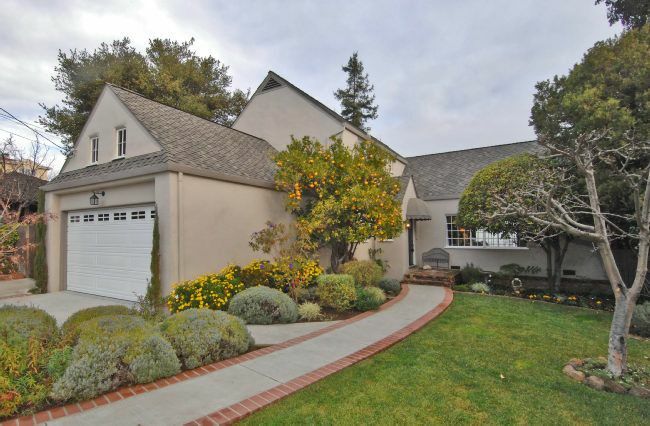 This wonderful English Tudor style home in the lower hills of San Carlos will be on the market tomorrow and available for viewings between 1:00-4:00. This 2,140 square foot home has spectacular views and a large, mostly level lot with a huge backyard. Built in the 1930’s, this home has been well taken care of and updated while preserving its original character. For more photos and a virtual tour, please click here. Wasn’t this home sitting on the market all last year? How is re-listing a home at a lower price worthy of posting at something called the San Carlos Blog? Thanks for the post. When a town like San Carlos only has 24 homes sitting on the market and buyers are anxious for any new listing, I would say that a new listing at a lower price is worthy. The fact that the open house had about 125 people show up, and considering it was the very first weekend in January shows just how much of an inventory deficiency we have. Also, as a point of clarification, this home went on the market last summer under a different brokerage at a much higher price….not “all of last year” as detailed in your post. If you had been following this blog all along you would know just how tough it was to move a home above 1.2M in San Carlos during the summer of 2009. This home is not alone in its DOM during that time period. The fact that the sellers took the home off the market, made a massive adjustment in price, and started off fresh in 2010, is a very good indication that they are doing everything to sell their home in this market. Additionally, while this blog does cover community issues, its primary objective is to cover the San Carlos real estate market. This is clearly stated on the About page of this blog.